OnLive announced that Founder and CEO Steve Perlman stepped down from his position and departed the company. Charlie Jablonski, who was to date responsible for the day-to-day operations, is the new CEO and COO of OnLive, with Gary Lauder acting as Chairman. Below is the official announcement of the position changes by OnLive. Palo Alto, Calif. August 27, 2012—OnLive, the pioneer of instant-action cloud computing, announced today that Gary Lauder, the lead investor in OnLive and the Managing Director of Lauder Partners LLC, will become the new Chairman. The company also announced that Charlie Jablonski, the former head of OnLive operations, will become OnLive's COO and acting CEO. 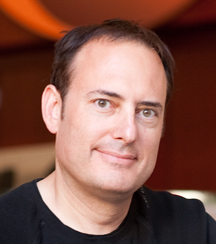 Steve Perlman, OnLive's founder and former President and CEO, is departing to work on his myriad of other projects. “Steve has created an extraordinary company that no one else could have created. He is a unique entrepreneur and deserves his legendary status in Silicon Valley as a creator of groundbreaking companies,” said Chairman Gary Lauder. The company plans to continue building the OnLive management team in key categories as the company delivers on its mission of breaking new ground in cloud services both for games and remote application delivery to thin devices, legacy platforms or any platforms with a fast connection. The new OnLive is looking to hire great people for the business development team, as well as a senior marketing leader." Below is a letter that OnLive Founder and former CEO Steve Perlman sent to OnLiveFans.com. No doubt you have all heard the news that I have left OnLive. Since Gary and I told you less than a week ago I was staying, I want to explain why I decided it was time to move on. It’s been a very long journey, starting over a decade ago, and for most of that time it’s been round- the-clock work, with almost no break at all. From the first presentations of OnLive 10 years ago, to recent product releases, we’ve overcome immense challenges, not just in terms of technical scope and complexity, but in getting past enormous skepticism, and bringing to market an extremely disruptive product. While the last week’s reset was a difficult transition, Gary set up a well-funded new company in a go-forward position with all employees having an opportunity to participate, we had critical matters like healthcare in place—with financial support fellow employees arranged themselves—and we even partnered with other companies to set up job mixers and recruiters to help find new jobs. By the end of a very tough week, we had actually reached a point of stability. For me, the end of last week was the first time in a very long time where I could actually consider the possibility of moving on without having to worry about the company. As we said in our last post, Gary did want me to stay, but OnLive is by far the longest project I’ve ever worked on, I have other projects long in need of my focus and attention, and Gary needed to lock down the structure for the new company. In the balance, it was a good time to move on, and Gary understood. I’d like to ask everyone to please give the OnLive team a chance to regroup and get rolling again. It’s the same people who created the amazing stuff you’ve been enjoying over the years, and Charlie is the guy who’s kept the service running 24/7 since launch. No small feat. For me, it’s hard to leave my creation behind, but there is also a huge sense of relief that I can finally step off the treadmill and know that OnLive is in good hands. Thank you all for helping OnLive since Beta days to become a reality, and thank you for all of the feedback and ideas that has helped OnLive pioneer this entirely new field of computing and entertainment. You can always find me at www.rearden.com. I might even have time at some point to update the website with our latest stuff. What the team has working now will utterly blow your mind. Below is a message that OnLive sent to OnLiveFans.com on behalf of Steve Perlman and Gary Lauder. First we want to express our gratitude to the dedicated community at OnLive Fans who have been instrumental in building the Game Service from the early days. OnLive has a new investor, so we can assure everyone that there will be complete continuity, and all of your purchases, achievements, Brag Clip videos, etc. are all there, with no interruption. OnLive has been up and running 24/7 since launch, and we absolutely plan to keep it that way. The recent transition was the hardest thing we at OnLive ever had to go through in our careers. We can’t get into the details, but we faced a multidimensional business challenge because of the scope, depth and complexity of the OnLive Service, devices, apps, games, and social features, etc. It’s unprecedented to do what OnLive has done in even a major corporation, let alone a startup. Big companies can absorb the uncertainty of an R&D project this big. For startups, sometimes you are left with no choice but to do a “reboot” if you are going to keep the vision alive, so it can once again grow and evolve. There will be changes to the organization both with old and new OnLive staff that will be bringing new features and games to the service. There will be more announcements — both large and small, such as the arrival of the Vizio Co-Star and the Ouya Kicktarter project, and stay tuned for major announcements coming soon. Gary invested in OnLive because he sees OnLive as the future of gaming, computing and media delivery, he recognizes just how big an idea it is, and is standing firmly behind it. With OnLive on solid financial footing, we see great things ahead. Instead of “game over,” we will take this to a higher level. As always, we appreciate the OnLive Fans community and thank you for your ongoing support, particularly as we go through this very difficult “reboot.” You were there at the beginning, and you have followed us through every step of our evolution, even really hard transitions like this. You’re family to us, and in tough times, it’s incredibly reassuring to know you are there, with whatever feedback you have for us. We want to hear it. Big thanks from everyone at OnLive, and we’ll keep you posted as the new phoenix rises. It might very well be that Steve Perlman chose to depart OnLive for the good of the company, as rumors were heard that prospective investors didn't want to invest in OnLive because of Steve Perlman's troubled character. He is very headstrong when it comes to business decisions which has often put pain to his startup companies. His actions do resemble those of Hank Rearden, one of the main protagonists of Steve's favourite book Atlas Shrugged, the novel by Ayn Rand. After all he did name his Rearden technology incubator that has given birth to OnLive after Hank Rearden's company Rearden Steel. I have to admit I like such people like Steve Perlman who risk destroying their creation, their baby, to follow their dreams, though they often fail. Coming back to Steve's troubled character, The Verge reported that OnLive employees convinced the new owner, Lauder Partners, to let Steve Perlman go and put employee-friendly former head of operations Charlie Jablonski in charge. Employees objected to Perlman's short-term goals and obsessive micromanaging. One OnLive manager said that Steve outvoted the board of directors on occasion, and as the majority shareholder at OnLive he didn't have to answer to a soul. The company never had a CFO, and even managers who were outside Steve's inner circle complained that they were left in the dark. Several OnLive ex-employees told The Verge the major reason users never came is because OnLive never had a real marketing budget, and after the original VP of marketing left, the company was unable to fill the role. When the existing director of marketing applied, she was turned down. When she turned in her notice, Steve allegedly fired her on the spot. One prospective candidate said that they didn't want to work under Perlman, a skilled salesman, because he insisted on doing everything himself, from criticizing photography to writing press releases, and publicly ridiculing those who didn't live up to his standards. "Steve had that talent, but he never empowered anybody," one ex-staffer said. "He would tell people they were stupid in front of the entire office." OnLive employees also lost their Christmas break on short notice for two years in a row becuase of various urgent projects. Another employee claimed that during the Christmas rush, Steve would call to see how work was progressing, from his cabin in Lake Tahoe. What really angered the OnLive employees, though, was that the company hadn't really reduced the value of their work to nothing at all: Perlman had seemingly found a legal loophole to extract that value and deprived them of it in the process. Officially, OnLive states it has 2.5 million users, and 1.5 million active users, but staffers told The Verge those numbers count every single person who ever signed up for a free account, or tried it in the last year. The other thing you need to understand is that many of those users never paid a dime. One of OnLive's most compelling features is that you can instantly try a time-limited demo of any game without having to install a thing. "We had single-digit income a lot of days after launch," one employee said. In terms of sales, the company counts first-person shooter Homefront as one of its successes, and yet the game sold in the low thousands, according to one former employee. OnLive did better with the PlayPack, a Netflix-like subscription to back-catalog titles for $9.99 a month, but one well-placed employee says the firm has as few as 12,000 subscribers on board. In an attempt to spur sales, OnLive offered a free MicroConsole with many purchases, a $99 set-top box that came with a wireless controller, exclusively for playing the OnLive service. The silicon is inexpensive, but one source said that even at $99 the company took a loss, due to the pricey materials and all the cables that management insisted they include in the box. OnLive needs a physical machine for each concurrent player, and though Steve continually pressed the team to figure out a method to virtualize the load, the current model might have been untenable. When NVIDIA offered possible solutions with their Geforce GRID cloud gaming technology, though, employees told The Verge the company decided not to negotiate. Sources also said that Steve turned down many buyout offers by companies like Sony, Dell, and Adobe. HP even offered $15 million for exclusive negotiation rights for 60 days. LG, Samsung and VIZIO were also supposedly interested in buying OnLive, to support their Smart TV initiatives. The Verge also reported that Electronic Arts and Activision, the two biggest video game publishers, were no-shows on OnLive. Negotiations failed with Bethesda Softworks, maker of the wildly popular The Elder Scrolls IV: Oblivion and The Elder Scrolls V: Skyrim role-playing games, and Valve, which makes Half-Life, Left 4 Dead, Team Fortress and Portal. The thing is, Electronic Arts was actually on board. Former staffers said that Mass Effect 2 and Dragon Age: Origins were ready and would have been launch titles if it wasn't for Steve Perlman. At GDC 2009, when OnLive revealed itself to the world in style, a rival named Gaikai did the same behind closed doors, and when Gaikai CEO David Perry came by the OnLive booth to greet his competitor, Perlman started screaming at him. 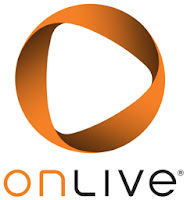 On June 17th, 2010, the day OnLive launched, Gaikai announced a multi-year deal with Electronic Arts. Perlman received the news in the OnLive booth at E3 2010. "He went ballistic," one witness recalls. "We had to slam the conference room shut and crank up the music so people wouldn't hear him." Perlman told EA he wanted exclusivity, even though Gaikai only offered game demos via the web rather than fully playable purchases. When EA refused, Perlman ordered his staff to remove all EA titles from OnLive. "We were instructed in no uncertain terms to pull the EA games at the very last minute," one ex-staffer related. Mike McGarvey, COO at the time, argued against the move, but Perlman wouldn't hear it. Shortly after the launch, McGarvey was sidelined. From then on, OnLive employees told The Verge, Steve shot down any game that Gaikai nabbed first; even titles that the company had already spent money to onboard, test, and certify with a game publisher. Both OnLive and developer CD Projekt RED confirmed that The Witcher 2: Assassins of Kings would arrive on the service, but Gaikai got it first. Bulletstorm was an attempt to get back into EA's good graces last year, and the game was ready to go — but when Gaikai added a web demo, sources told The Verge, Perlman pulled the plug. When Ubisoft refused to drop demos from Gaikai, he threatened to cease doing business with the company. Perlman also allegedly scared Valve off with a broad pitch when the company merely wanted to test the waters, and a source told The Verge that negotiations with Bethesda Softworks failed because OnLive simply wasn't willing or able to pay a fee to offset the onboarding costs of their games. Steve Perlman has also donated $50,000 to the Ex-OnLive COBRA Fund that has been set up by Sim Dietrich. COBRA helps people that were laid off and their families to maintain medical coverage until they are employed again. Steve wrote this: "Great idea, Sim. Given the circumstances, the company was able to set up COBRA, but not able to reimburse it. This is a really good alternative. I just added $50K to the bucket and will add more as needed. We've already hired more people back this week, and my hope is to get a lot more back before COBRA kicks in." No doubt that Charlie Jablonski will be able to lead OnLive in the interim, even Steve Perlman mentioned in his letter that Charlie is the guy who’s kept the service running 24/7 since launch. Charlie brings a breadth of senior management, engineering and broadcast technology expertise to OnLive. He has a successful track record of leading startups through periods of expansive growth, including serving as CEO of Myrio and COO of Geocast. Charlie has also served as an adviser to venture capital, hedge and private equity funds. 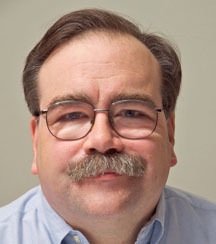 Charlie Jablonski's career also includes 16 years with the National Broadcasting Corporation (NBC), where he served as head of engineering and technology. He was awarded four Emmys for his work on NBC’s coverage of the Olympics, and is a fellow and former president of SMPTE (Society of Motion Picture and Television Engineers). Charlie serves on several company boards, as well as the advisory board for the School of Engineering for Rensselaer Polytechnic Institute. OnLive senior manager of customer relations Nathan Barsetti wrote this about Charlie Jablonski: "I gotta chime in. First off, Charlie totally looks like Milton. Secondly, he actually is Jack Donaghy, no really he was a high-up in NBC and General Electric with a mantle full of Emmy awards and a wicked sense of humor. Third off, if you watched the Olympics a few weeks back, your ability to do so was because Charlie was in the control room making it all come together. Lastly, I've been working under Charlie for 2.5 years, and he is AWESOME. This is the best way this could have turned out, and today the company was reborn. Yes, Steve was the founder and visionary behind OnLive. Why you can log in to it is because of the amazing talent in the company. That lives on and we are the ones to seed the next generation of OnLive. One that is lean and mean, and still forging ahead to fulfill Steve's dream." It remains to be seen what Gary Lauder will do with OnLive. He is rich and his family even more, but this might not be enough for OnLive. Will he be able to find new investors? With Steve Perlman gone he might have better chances. The former OnLive investors included large telecommunications and media corporations like AT&T, Warner Bros. (Time Warner) and BT. AT&T has already ran some promotions with the OnLive PlayPack, Warner Bros. is also supporting OnLive with games like Batman: Arkham City, and BT helped launch OnLive in the UK and partnered with them on many promotions. These corporations will lose most of their investments in OnLive. Since OnLive needs the collaboration of the big telecommunications companies to optimize latency and picture quality this could spell problems for OnLive. The backing of these megacorporations was important to attract partners and game content. Losing support from a media corporation like Warner Bros. that supplied OnLive with games like Batman: Arkham City, Batman: Arkham Asylum, LEGO Batman, LEGO Harry Potter: Years 1-4, LEGO Harry Potter: Years 5-7 and LEGO Pirates of the Caribbean: The Video Game could also be very problematic for OnLive's content acquisition. It remains to be seen what other large game publishers that support OnLive like Ubisoft and THQ will do in the wake of OnLive's problems. Of course the big telecommunications and media corporations could still back OnLive because they might be after the DIDO Wireless technology that Steve Perlman is developing at his Rearden technology incubator and promises to revolutionize telecommunications as we know it. If Gary Lauder will have problems finding investors and acquiring content for OnLive, it might well be that he will be forced to sell OnLive to a large corporation like Microsoft, Apple, Google or another for an undesirably low price. The story of Steve Perlman and OnLive reminds me of one that built a beautiful sand sculpture on the beach that takes people's breath away, but instead of letting other people marvel in its wonders, one destroys it violently with one's feet. Steve Perlman will surely be missed at OnLive, as he is a genius in inventing groundbreaking technology and worked very hard to make OnLive a success. 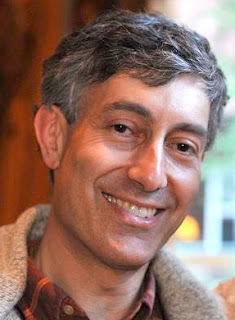 Steve Perlman has received no compensation from the acquisition of OnLive's assets and is receiving no cash compensation or shares from the new company, so he gave away the control over his creation and in a way admitted that he failed from a business standpoint, though he is a genius when it comes to inventing groundbreaking new technology. As Steve has pointed out in his letter, he will now have more time to work on other very exciting projects like DIDO Wireless technology at his Rearden technology incubator. I'm very curious what groundbreaking new technology Steve Perlman will launch next with the help of Rearden. Jack Donaghy, his poor family story is just....heart touching.